The available properties listed include those owned or not owned by the LAIC. If you have commercial property or buildings for sale or lease in Lake County and would like them listed here or are looking to lease or own a property, please contact us. Watch our Lakeview Industrial Park aerial YouTube video. 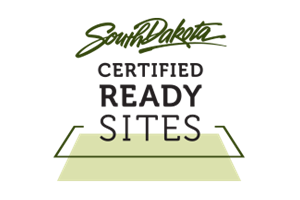 There are approximately 100 acres currently available in the Lakeview Industrial Park and it is a South Dakota Certified Ready Site. The 16,000 sq. 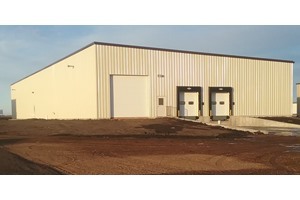 ft. building is newly constructed in the Lakeview Industrial Park inside the city limits of Madison, South Dakota. 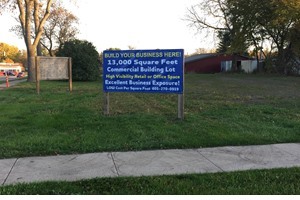 This space is available immediately and is located on Egan Avenue, Madison’s main street. 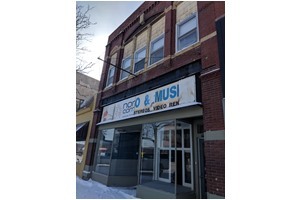 This available building is located at 223 South Van Eps Avenue, one block from Madison’s downtown. The available space was previously used for education purposes. The whole building has Category 5 “Cat-5” cable. This is a nice office building with plenty of parking available. 117 S. Egan Avenue - for lease - more info coming soon! Formerly B&B Appliance, this storefront is available immediately for rent. There is an apartment for rent above this storefront, if interested in renting the storefront and living above, please let us know! This lot, located along Highway 34/Washington Avenue is a high-traffic, high-visibility location. 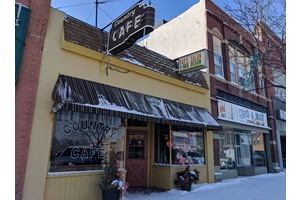 The 400 block, including this lot, are near the intersection of 2nd Street and Washington Avenue which is, Highway 34, the main traffic route through Madison. Situated on the corner of S. Hyland Avenue and SW 4th Street, on the SW side of Madison, this is a highly visible building. Two adjacent buildings are for sale. Located between Montgomery's and Lewis on S. Washington Avenue, this is a prime retail location with high traffic counts. Located off of S. Washington Avenue, right off of Highway 34, this is a quick access, storage building to meet your product delivery needs. 15,030 total building sq. ft.
Madison Municipal Airport has hangar rentals and room for corporate hangars. Telecommunication, water, sewer, natural gas and electricity can be found on our utilities page.